Rochas Okorocha, Governor of Imo State, has berated the Peoples Democratic Party (PDP) for accusing him of borrowing from banks. According to Okorocha, the PDP should prove that he had debt with the said banks or "keep their mouth shut". 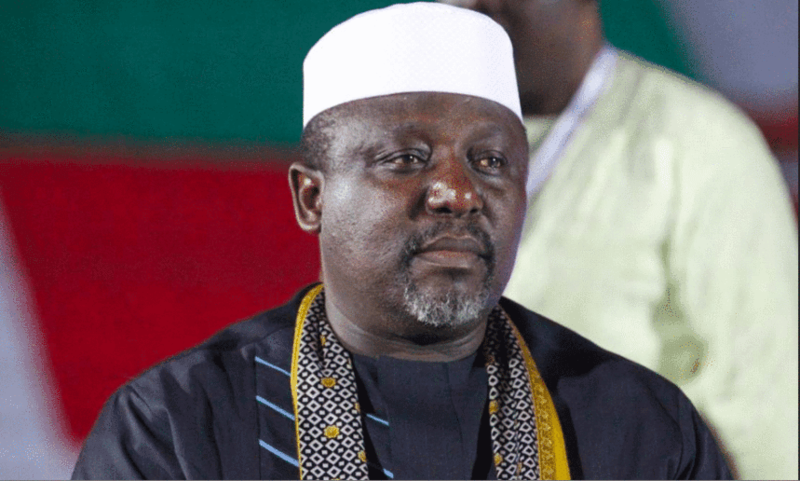 Speaking through Sam Onwuemeodo, his Chief Press Secretary, Okorocha said his administration was not owing anyone. As such, he urged the people not to believe anything to the contrary as peddled by the PDP. A statement issued by Onwuemeodo read: “We have come up with this position because the PDP is synonymous with falsehood and propaganda. And even as a party, if they know any bank the government of Rochas Okorocha has borrowed one naira from, they should mention such bank and state the particulars of the transaction so that interested persons can verify or forever, they should keep their mouths shut. “Owing to Governor Okorocha’s monumental achievements, opponents of the administration have always erroneously concluded that he must have borrowed heavily from the banks.